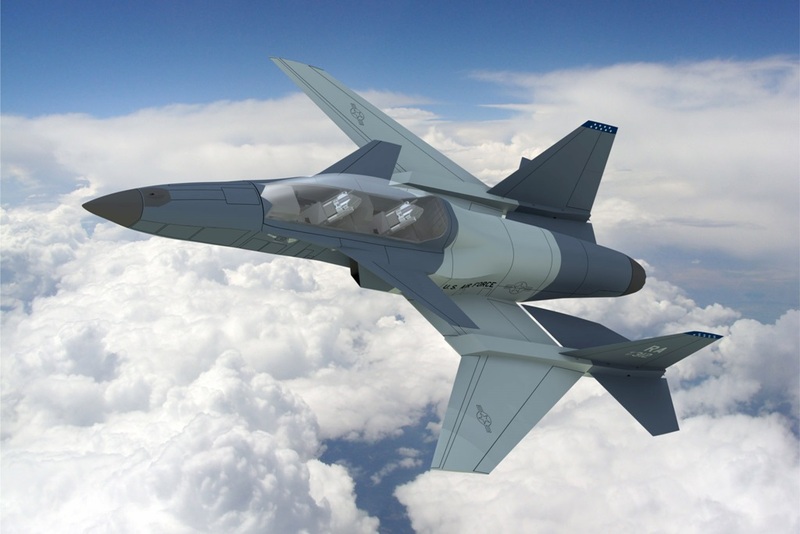 Stavatti Aerospace submitted two aicraft in response to USAF Advanced Pilot Training, Family of Systems Program (T-X). Stavatti Aerospace submitted the SM-47 T-X as a candidate solution for the USAF Advanced Pilot Training, Family of Systems Program (T-X). The first of two proposed aircraft to satisfy the T-X requirement. The SM-47 T-X is a supersonic, Advanced Pilot Trainer variant of the SM-47 Super Machete family of Multi-Role/Air Defense Fighter aircraft now under development by Stavatti. Tailored specifically for the T-X mission, the SM-47 design was improved beginning in 2014 to ensure that the cockpit accommodates JPATs cases 1-8. Featuring aluminum and titanium foam metal sandwich construction, the SM-47 T-X will be powered by a single GEAE F414 enhanced performance afterburning turbofan. The SM-47 will be the first U.S. production fighter to feature a Forward Swept Wing (FSW), made possible in part by the stiffness associated with titanium foam metal sandwich structures. A super-maneuverable aircraft, the SM-47 T-X will offer a maximum level speed exceeding Mach 2.2 and a limit load factor at gross weight of 9.0 G. With in-flight refueling capability as a standard feature, the SM-47 T-X may be readily converted to the Air Defense Fighter (ADF) configuration for DACT missions, offering a maximum external warload of 12,000 lbs carried on a total of eight external stores stations. A member of the Machete family that includes the SM-27 Turboprop and SM-28 Turbofan Close Air Support (CAS) aircraft, the SM-47 is being developed as part of a Stavatti initiative to provide a modular FoS to address future Attack, Fighter, and Trainer needs. The USAF would achieve a significant cost savings by selecting the SM-47 for the T-X role and the SM-27 or SM-28 for the budding OA-X requirement, thus deploying a common modular and affordable solution to a variety of air defense needs. Offered to the USAF T-X program office at a per unit flyaway cost of $20 Million, Stavatti’s total bid for the T-X program including 351 aircraft and 46 Ground Based Training Systems (GBTS) was approximate $8.4 Billion. Designed domestically by Stavatti, the Machete family will be prototyped and produced in the United States. If selected, the first SM-47 T-X prototype would fly in 2018, with delivery to the USAF in 2019. With five planned EMD aircraft, flight testing certification to MIL-HDBK-516B standards will be achieved by 2022 with Low Rate Initial Production beginning in 2024 followed by Full Rate Production in 2026. Stavatti would produce 48 aircraft per year for the USAF followed by additional SM-47S/T fighter variants annually to meet potential allied export needs. The Stavatti SM-47 program, in conjunction with the SM-27 and SM-28, will directly employ approximately 2,000 persons for at least two decades. Locations under consideration for Machete series production include Arizona, California, Florida, Ohio, Texas, Virginia, and Washington. The second proposed aircraft is the new and re-imagined Javelin T-X. Offered at a per unit flyaway cost of $10 million, the Javelin T-X is the most affordable entry in the T-X competition. The total cost for the Javelin T-X solution for 351 aircraft, 46 ground-based training systems, contractor logistical support, and aircraft engineering manufacturing development/qualification is under $4.7 Billion. The Javelin T-X is an all-new supersonic trainer design derived from the twin engine ATG Javelin that first flew in 2005. The single engine aircraft is powered by the Honeywell F125 afterburning turbofan and offers a maximum level speed of Mach 1.5 and a stall speed in the landing configuration of 95 KTAS, giving the Javelin T-X the greatest endurance per pound of fuel compared to any other aircraft yet offered as a T-X solution. With a maximum gross takeoff weight of 12,500 lbs, 176 sq. ft. of wing area and area ruling, the Javelin T-X is an homage to the original T-38/F-5. With a high degree of planform alignment and 2-D thrust vectoring, the Javelin is also the only T-X candidate with low observability in mind. While not necessary for the APT mission, the Javelin will also be produced as a Very Light Fighter (VLF). Armed with two internally carried AIM-9X Sidewinders, an internal gun (or directed energy weapon), and fitted with both a compact AESA radar and a comprehensive electronic warfare suite, the Javelin VLF will introduce a new era of highly affordable fifth generation fighters. Built for 9 Gs at MTOW and offering standard in-flight refueling capability the Javelin meets or exceeds all APT FoS RFP requirements. Designed entirely in the U.S., Stavatti is moving forward with Javelin T-X development as a private venture funded through risk investor and strategic partner support. First flight of the Javelin T-X conformal prototype may be as early as 2018. If selected by the USAF for the APT requirement, the first Javelin T-X will be delivered as an EMD aircraft in 2019. With five planned EMD aircraft, Low Rate Initial Production will begin in 2024, followed by Full Rate Production in 2026. 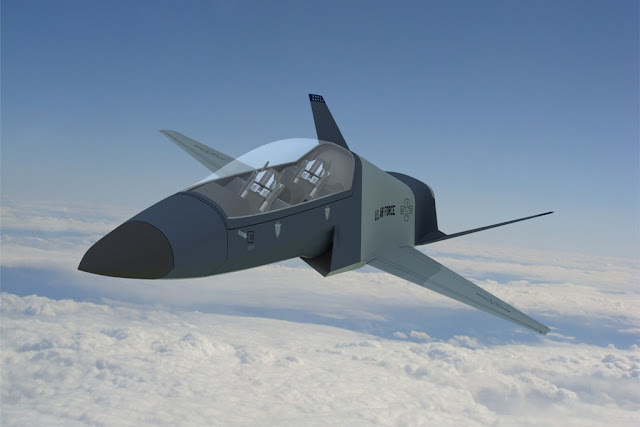 Stavatti will produce 48 aircraft per year for the USAF followed by additional VLF aircraft annually to meet potential allied export fighter needs. The Javelin T-X will be built at a Stavatti center in the United States and will directly employ approximately 800 persons for at least two decades. Locations under consideration for Javelin T-X production include Arizona, California, Florida, Ohio, Texas, Virginia, and Washington.